17 TAKAHE 76°17'0"S/ 112°5'0"W 1900-027 Shield volcano IC* TAKAHE -- 5.500 B.C? 21 PENGUIN ISLAND 62°6'0"S/ 57°56'0"W 1900-031 Stratovolcano Li* PENGUIN ISLAND -- 1905? 20140623/ note: This project was part of my solar and terrestrial blog related to the peak of the 26. 11 year sun spot cycle in 2013 . Since these activities/ fluctuations are significantly decreasing now, volcano activity in the single collapsible panels on this page will NO MORE be updated The page will be continued as a source for general information .Visit th the Smithsonian page to get information on current worldwide volcano current activities! 2013 FEB- 01 FEB- 12? ABOUT COPAHUE ( Gelogical summary by: USGS/ Smithsonian inst. ):Volcán Copahue is an elongated composite cone constructed along the Chile-Argentina border within the 6.5 x 8.5 km wide Trapa-Trapa caldera that formed between 0.6 and 0.4 million years ago near the NW margin of the 20 x 15 km Pliocene Caviahue (Del Agrio) caldera. The eastern summit crater, part of a 2-km-long, ENE-WSW line of nine craters, contains a briny, acidic 300-m-wide crater lake (also referred to as El Agrio or Del Agrio) and displays intense fumarolic activity. Acidic hot springs occur below the eastern outlet of the crater lake, contributing to the acidity of the Río Agrio, and another geothermal zone is located within Caviahue caldera about 7 km NE of the summit. Infrequent mild-to-moderate explosive eruptions have been recorded at Copahue since the 18th century. Twentieth-century eruptions from the crater lake have ejected pyroclastic rocks and chilled liquid sulfur fragments. 2014 APR 04 APRIL 09? 2013 OCT- 16 NOV- 26? 2013 JUNE- 11 JUNE- 25? OVDAS-SERNAGEOMIN reported that a gradual increase of seismicity at Copahue had been detected since 15 May. A camera recorded periodic small explosions and corresponding ash emissions, along with nighttime incandescence. On 19 May satellite images detected increased sulfur dioxide emissions, which produced a plume that rose 300 m above the crater and drifted SE. Images from 20 and 22 May showed large plumes drifting 100 km SE that appeared translucent gray, suggesting a significant presence of volcanic gases. On 23 May the Alert Level was raised to Orange. On 24 May cameras recorded white plumes that mostly rose 250-400 m; at 1900 a plume rose 1.9 km, and another drifted NE. Seismicity increased sharply during 24-25 May. The seismic network detected 8,556 low-magnitude earthquakes with an average of 356 events per hour, and a gap of a few seconds between events. Seismicity increased again during 25-26 May, with an average of 455 events per hour, and then decreased to 269 events per hour during 26-27 May. An explosion on 26 May generated crater incandescence and a plume that rose 400 m. Weather conditions often prevented views during 25-27 May. On 27 May OVDAS-SERNAGEOMIN noted that the intensity and type of seismicity observed in recent days, in conjunction with the deformation data, suggested the rise of a magmatic body to shallow depths. The Alert Level was raised to Red. According to ONEMI, the government ordered a precautionary evacuation of the 2,440 people living within a radius of 25 km. During 27-28 May seismic signals were detected at an average rate of 130 events per hour. Cloud cover prevented visual observations. ONEMI noted that 44 people had evacuated by 28 May. 2013 MAY- 07 MAY- 14? 2013 MAR- 28 APR- 02? 2013 FEB- 04 FEB- 05? OVDAS-SERNAGEOMIN reported that during 29 January-4 February the web camera near Copahue recorded white gas plumes rising 350-1,550 m above the crater and drifting E and SE. Seismicity fluctuated but mostly remained at low levels. The Alert Level was lowered to Yellow on 4 February. The Buenos Aires VAAC noted that although a pilot reported an ash plume between the altitudes of 3-4.6 km (10,000-15,000 ft) a.s.l., no ash was detected in mostly clear satellite images. The VAAC also noted that steam with possible diffuse ash was recorded by the OVDAS webcam. OVDAS-SERNAGEOMIN reported increased seismicity at Copahue on 22 December. Seismicity fluctuated but was high and indicated that emissions from what was thought to be a phreatic eruption varied between white gas and dark ash plumes. The plumes rose 1-1.5 km above the crater and were observed in satellite imagery drifting 400 km SE. The Alert Level was raised to Orange. Scientists aboard an overflight observed a low plume rising 1.5 km above a vent in Del Agrio Crater, in the same area as the previous eruption in 2000, and drifting SE. The scientists noted that at 1600 the emissions changed from ash to gas. Later that day web cameras showed incandescence from the crater reflecting in the clouds. The Alert Level was raised to Red, and people within a 15-km-radius and along drainages were warned about potential increases in activity or lahars. On 23 December incandescence from the crater increased with explosions, as high as 450 m. Strombolian activity ejected incandescent blocks, and mostly white plumes turned dark during explosions. The plumes rose 1 km and drifted SE. On 24 December seismicity decreased. The camera recorded crater incandescence which increased to heights of 200 m with explosions. Incandescent blocks were again ejected with Strombolian explosions. Plumes rose 300 m and drifted SE; they were mostly white, but turned dark with ash during explosions. The Alert Level was lowered to Orange. On 25 December seismicity decreased to low values and tremor was not detected. Cloud cover obscured web camera views. Diffuse plumes visible in satellite images drifted 70 km SE. ABOUT CALLAQUI ( Gelogical summary by: USGS/ Smithsonian inst. ):The late-Pleistocene to Holocene Callaqui stratovolcano has a profile of an overturned canoe due to its construction along an 11-km-long, SW-NE fissure above a 1.2-0.3 million year old Pleistocene edifice. The ice-capped, 3164-m-high basaltic-andesite Callaqui volcano contains well-preserved volcanic cones and lava flows, which have traveled up to 14 km. Small craters 100-500 m in diameter are primarily found along a fissure extending down the SW flank. Intense solfataric activity occurs at the southern part of the summit; in 1966 and 1978, red glow was observed in fumarolic areas. Periods of intense fumarolic activity have dominated at Callaqui, and few historical eruptions are known. An explosive eruption was reported in 1751, there were uncertain accounts of eruptions in 1864 and 1937, and a small phreatic ash emission was noted in 1980. Based on a pilot observation, the Buenos Aires VAAC reported that the top of an ash plume from Callaqui was at 3 km (10,000 ft) a.s.l. on 2 January. Ash was not detected in satellite imagery under clear skies. 2012 JANUARY -02 JAN- 03? ABOUT CHAITEN ( Gelogical summary by: USGS/ Smithsonian inst. ): Chaitén is a small, glacier-free caldera with a Holocene lava dome located 10 km NE of the town of Chaitén on the Gulf of Corcovado. A pyroclastic-surge and pumice layer that was considered to originate from the eruption that formed the elliptical 2.5 x 4 km wide summit caldera was dated at about 9400 years ago. A rhyolitic, 962-m-high obsidian lava dome occupies much of the caldera floor. Obsidian cobbles from this dome found in the Blanco River are the source of prehistorical artifacts from archaeological sites along the Pacific coast as far as 400 km away from the volcano to the north and south. The caldera is breached on the SW side by a river that drains to the bay of Chaitén, and the high point on its southern rim reaches 1122 m. Two small lakes occupy the caldera floor on the west and north sides of the lava dome. The first historical eruption of Chaitén volcano in 2008 produced major rhyolitic explosive activity and growth of a lava dome that filled much of the caldera. 2011 JAN- 14 JAN 31? ABOUT PLANCHON PETEROA ( gelogic summary by global volcanism program-USGS/ Smithsonian institute:Planchón-Peteroa is an elongated complex volcano along the Chile-Argentina border with several overlapping calderas. Activity began in the Pleistocene with construction of the basaltic-andesite to dacitic Volcán Azufre, followed by formation of basaltic and basaltic-andesite Volcán Planchón, 6 km to the N. About 11,500 years ago, much of Azufre and part of Planchón collapsed, forming the massive Río Teno debris avalanche, which reached Chile's Central Valley. Subsequently, Volcán Planchón II was formed. The youngest volcano, andesitic and basaltic-andesite Volcá Peteroa, consists of scattered vents between Azufre and Planchón. Peteroa has been active into historical time and contains a small steaming crater lake. Historical eruptions from the Planchón-Peteroa complex have been dominantly explosive, although lava flows were erupted in 1837 and 1937. 2011 JUNE- 24- 25 June 28? 2011 APRIL- 29 MAY- 11? ERNAGEOMIN reported that during 1-15 April a camera installed in Romeral, approximately 61 km NW of Planchón-Peteroa, recorded predominantly white vapor plumes that rose at most 600 m. During 16-19, 21 and 25-29 April episodes of ash-plume production changed from discreet plumes to more continuous emissions. Ash plumes during 17-19 and 29 April rose 1.2 km and contained ash- to lapilli-sized particles. During overflights on 26, 27, and 29 April, a geologist noted that the crater geometry and fumarolic activity had changed very little during the previous few months and that ash emissions drifted mainly SW. SERNAGEOMIN stated that because ash-and-gas emissions were becoming almost continuous, the Alert Level was raised to Level 3, Yellow on 29 April. 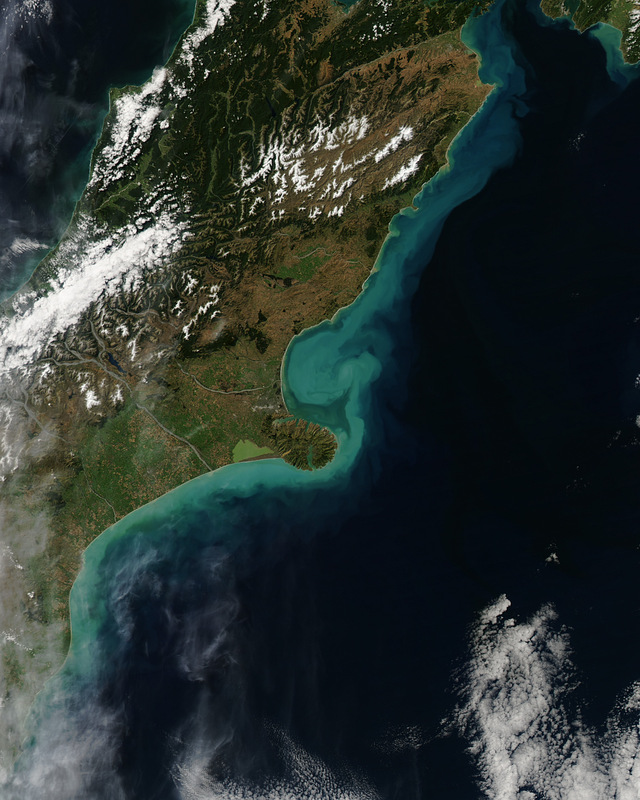 Based on analyses of satellite imagery, SIGMET notices, and ODVAS web camera observations, the Buenos Aires VAAC reported that during 2-3 May gas-and-ash plumes rose to altitudes of 4.6-5.5 km (15,000-18,000 ft) a.s.l. and drifted NE and E.
ABOUT VILLARRICA ( gelogic summary by global volcanism program-USGS/ Smithsonian institute: Villarrica, one of Chile's most active volcanoes, rises above the lake and town of the same name. It is the westernmost of three large stratovolcanoes that trend perpendicular to the Andean chain. A 6-km wide caldera formed during the late Pleistocene, more than 0.9 million years ago. A 2-km-wide postglacial caldera is located at the base of the presently active, dominantly basaltic-to-andesitic cone at the NW margin of the Pleistocene caldera. About 25 scoria cones dot Villarrica's flanks. Plinian eruptions and pyroclastic flows have been produced during the Holocene from this dominantly basaltic volcano, but historical eruptions have consisted largely of mild-to-moderate explosive activity with occasional lava effusion. Lahars from the glacier-covered volcano have damaged towns on its flanks. 2013 JULY- 25 AUG- 06? 2012 NOV- 10 Nov- 13? According to Projecto Observación Visual Volcán Villarrica (POVI), incandescence from Villarrica's crater subsided mid-April and was undetected by satellite and ground observations at least through 10 November. Images captured by a camera in Pucon (16 km N) on 10 November showed an increase in the plume intensity. Small water vapor plumes, 50 m wide, rose from the depths of the crater. 2012 APR 09 APR- 24? According to Projecto Observación Visual Volcán Villarrica (POVI), ash emissions rose from Villarrica on 9 April and incandescence emanated from the crater at night. 2012 MAR- 07 MAR- 20? According to Projecto Observación Visual Volcán Villarrica (POVI), two small ash emissions from Villarrica occurred on 7 March. Incandescence from the crater was observed from the town of Pucon (16 km N) during 7-8 March. 2011 SEP- 17/ 27 Oct- 04? According to Projecto Observación Visual Volcán Villarrica (POVI), an image from 17 September showed the inner SSW wall of the crater covered with snow and ice, and a thin layer of ash. A rapid rise in the level of the lava lake (in a pit about 40 m wide) on 19 September caused much of the snow and ice to melt, especially on the southern inner wall. Strombolian explosions from the crater were observed on 26 September, and tephra deposits on the E edge of the crater were noted. On 27 September incandescence from the lava lake were reflected in the cloud cover above. ABOUT LASCAR ( Gelogical summary by: USGS/ Smithsonian inst. ):Lascar is the most active volcano of the northern Chilean Andes. The andesitic-to-dacitic stratovolcano contains six overlapping summit craters and lies 5 km W of an older, higher stratovolcano, Volcán Aguas Calientes. Lascar consists of two major edifices; activity began at the eastern volcano and then shifted to the western cone. The largest eruption of Lascar took place about 26,500 years ago, and following the eruption of the Tumbres scoria flow about 9,000 years ago, activity shifted back to the eastern edifice, where three overlapping craters were formed. Frequent small-to-moderate explosive eruptions have been recorded from Lascar in historical time since the mid-19th century, along with periodic larger eruptions that produced ashfall hundreds of kilometers away from the volcano. The largest historical eruption of Lascar took place in 1993 and produced pyroclastic flows that extended up to 8.5 km NW of the summit. OVDAS-SERNAGEOMIN reported that during March a web camera monitoring Láscar recorded white gas plumes rising 600 m above the crater. At night during 2-4 April incandescence from the crater was observed. On 3 April increased emissions from the crater fluctuated from white to gray, indicating possible ash. Plumes rose 320 m and drifted SE. Seismicity remained at normal levels during the increased emissions. On 5 April the Alert Level was raised to Yellow. 2013 APRIL 05 APR. 09? 2012 JAN- 05 JAN 11? OVDAS-SERNAGEOMIN reported increased seismicity at Láscar on 5 January and raised the Alert Level from Green to Yellow. On 8 January ONEMI authorities warned residents about the new Alert Level status and restricted residents from going within a 20-km radius of the volcano. ABOUT ATUCO (geologic summary by global volcanism program-USGS/ Smithsonian institute: Antuco volcano, constructed to the NE of the Pleistocene Sierra Velluda stratovolcano, rises dramatically above the SW shore of Laguna de la Laja. Antuco has a complicated history beginning with construction of the basaltic-to-andesitic Sierra Veluda and Cerro Condor stratovolcanoes of Pliocene-Pleistocene age. Construction of the Antuco I volcano was followed by edifice failure at the beginning of the Holocene that produced a large debris avalanche which traveled down the Río Laja to the west and left a large 5-km-wide horseshoe-shaped caldera breached to the west. The steep-sided modern basaltic-to-andesitic cone of has grown 1000 m since then; flank fissures and cones have also been active. Moderate explosive eruptions were recorded in the 18th and 19th centuries from both summit and flank vents, and historical lava flows have traveled into the Río Laja drainage. 2013 APRIL- 20 APR- 30? ABOUT PALENA VOLCANIC GROUP (Gelogical summary by: USGS/ Smithsonian inst. ):The Palena volcano group consists of five cinder cones oriented along a NNE trend NE of Melimoyu volcano. The youthful volcanoes, which are named after the middle cone, are Holocene in age (Moreno 1985, pers. comm.). Based on a pilot observation and analyses of satellite images, the Buenos Aires VAAC reported that activity at the Palena Volcanic Group began around 1530 on 22 December. Satellite images showed an ash plume drifting SE which dissipated quickly, and diffuse ash, gas, and steam near the source. 2013 DEC 22 DEC- 31? ABOUT SIPLE ( Gelogical summary by: USGS/ Smithsonian inst. ):Mount Siple is a youthful-looking shield volcano that forms an island along the Pacific Ocean coast of Antarctica's Marie Byrd Land. The massive 1800 cu km volcano is truncated by a 4-5 km summit caldera and is ringed by tuff cones at sea level. Its lack of dissection in a coastal area more susceptible to erosion than inland Antarctic volcanoes, and the existence of a satellite cone too young to date by the Potassium-Argon method, suggest a possible Holocene age (LeMasurier and Thomson 1990). The location of Mount Siple on published maps is 26 km NE of the actual location. A possible eruption cloud observed on satellite images on September 18 and October 4, 1988 was considered to result from atmospheric effects after low-level aerial observations revealed no evidence of recent eruptions (Smithsonian Scientific Event Alert Network Bulletin). Infrared imagery from the Metop satellite showed a possible rising steam plume from the area of Siple on 20 June. The imagery, as interpreted by Mark Drapes, indicated that the volcano was about -22 degrees Celsius, about 6 degrees warmer that the surrounding landscape, and the base of the plume was about -55 degrees Celsius. ABOUT PUYEHUE-CORDON CAULLE ( Gelogical summary by: USGS/ Smithsonian inst. ):The Puyehue-Cordón Caulle volcanic complex (PCCVC) is a large NW-SE-trending late-Pleistocene to Holocene basaltic-to-rhyolitic transverse volcanic chain SE of Lago Ranco. The 1799-m-high Pleistocene Cordillera Nevada caldera lies at the NW end, separated from Puyehue stratovolcano at the SE end by the Cordón Caulle fissure complex. The Pleistocene Mencheca volcano with Holocene flank cones lies NE of Puyehue. The basaltic-to-rhyolitic Puyehue volcano is the most geochemically diverse of the PCCVC. The flat-topped, 2236-m-high Puyehue volcano was constructed above a 5-km-wide caldera and is capped by a 2.4-km-wide summit caldera of Holocene age. Lava flows and domes of mostly rhyolitic composition are found on the eastern flank of Puyehue. Historical eruptions originally attributed to Puyehue, including major eruptions in 1921-22 and 1960, are now known to be from the Cordón Caulle rift zone. The Cordón Caulle geothermal area, occupying a 6 x 13 km wide volcano-tectonic depression, is the largest active geothermal area of the southern Andes volcanic zone. 2014 FEB 14 FEB 25? 2014 JAN 16 JAN- 22? 2011 JULY -22 APR- 24-2012? VDAS-SERNAGEOMIN reported that between 2000 on 2 June and 1959 on 3 June about 1,450 earthquakes at Puyehue-Cordón Caulle were detected, or an average of about 60 earthquakes per hour. The earthquakes were mostly hybrid and long-period, and located in the SE sector of the Cordón Caulle rift zone at depths of 2-5 km. SERNAGEOMIN scientists along with regional authorities flew over the volcano, noting no significant changes. The Alert Level remained at 4, Yellow. Area residents reported feeling earthquakes during the evening of 3 June through the morning of 4 June. For a six-hour period on 4 June, seismicity increased to an average of 230 earthquakes per hour, at depths of 1-4 km. About 12 events were magnitudes greater than 4, and 50 events were magnitudes greater than 3. The Alert Level was raised to 5, Red. ONEMI reported that the border crossing into Argentina was closed and about 700 local people were to start evacuating. Later, an explosion from Cordón Caulle produced a 5-km-wide ash-and-gas plume that rose to an altitude of 12.2 km (40,000 ft) a.s.l. as noted by OVDAS scientists. The plume drifted S at 5 km altitude, and W and E at 10 km altitude. The Alert Level was raised to 6, Red. ONEMI reported the continuation of evacuations and increased the potential number of evacuees to 3,000. ONEMI also reported that the National Director of SERNAGEOMIN noted that lava was not detected, but pyroclastic flow deposits were observed. Residents reported a strong sulfur odor and significant ash and pumice fall. During 4-5 June ashfall several centimeters thick was reported in San Carlos de Bariloche, 100 km SE in Argentina, and surrounding areas. 2011 APRIL- 26 May- 03?